Five days to Nigeria’s sixth general election in its Fourth Republic, the recent ruling by Ekiti State Governorship Election Petition Tribunal holds some rich lessons for the nation’s electoral system. The people, and not the assizes, should be the final arbiters in democratic elections. As such the courts exist as control and not clearing houses or validation of electoral processes. The emphasis on the people is also a warning to ministers and officials in the temple of justice that the ugly verdict of social forces could impeach any disjointed ruling. The Independent National Electoral Commission (INEC) had, after the Ekiti governorship election of July 14 2018, declared Dr. John Kayode Fayemi of All Progressives Congress (APC) winner, having polled 197,450 votes to defeat his closest rival, Prof. Olusola Eleka, the candidate of Peoples Democratic Party (PDP).However, not satisfied with the poll results as announced by INEC, Elekah and PDP petitioned the Ekiti State Governorship Election Tribunal, headed by Justice Suleiman Belgore. Whether during elections or interrogation of electoral processes and outcomes, peace and security remain the common denominators. 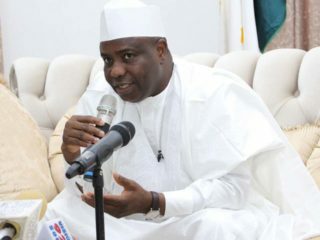 That fact would have informed the decision of the tribunal to relocate to Abuja after it initially commenced sitting in Ado Ekiti, the state capital. Freedom from unholy interferences is therefore crucial in the expression of the people’s will as well as deliberations on disputations between the contending parties in an election. Consequently, the Election Petition Tribunal’s decision to shift to Abuja was to provide it anonymity and unnecessarily visitations by undesirable elements that had no business in the litigation. 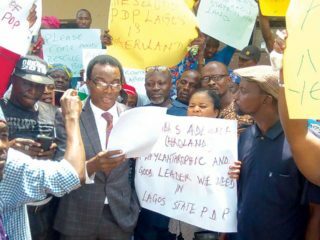 In the ruling delivered by the chairman of the three-man panel, Justice Suleiman Belgore, the tribunal frowned at the slovenly manner in which the Peoples Democratic Party (PDP) followed its petition. The panel also noted that some of the oral depositions by the petitioners’ witnesses ended up validating the position of the respondent that the Ekiti governorship election was not only free and fair, but also that Dr. Kayode Fayemi was properly returned as winner. In arriving at its conclusion that the petition against Fayemi and All Progressives Congress (APC) was lacking in merit, the tribunal maintained that Peoples Democratic Party (PDP) and its candidate in the election, Elekah, could not prove or support their claims with credible evidence or witnesses that the election was marred by irregularities. The essential features in election-related litigations revolve around logic, which in turn is usually informed by inferences and deductive reasoning. The best argument in every election is therefore better delivered by the voters at the poll, because what happens there would be easier to defend than define. That might explain why the tribunal declared that PDP and Elekah did not substantiate their claim that the July 14, 2018 Ekiti State governorship election was defined by “lack of accreditation, over-voting, mutilation of results, inaccurate ballot account, vote-buying and snatching of electoral materials as well as cancellation of results in many polling units, where the PDP and its candidates polled the highest number of votes. While stressing the absence of credible evidence substantiated with pleadings, Belgore asserted that all the petitioners’ “allegations are therefore deemed abandoned. Evidence of facts not pleaded goes to nothing.”The tribunal chairman noted that the results as announced by the Independent National Electoral Commission (INEC) would continue to enjoy the assumption of regularity until such assumption is displaced with credible evidence. THE nature of outcomes and manner of judicial decisions determine to a large extent how the voting public, the electorate react. One salient reason the rule of law is central to democratic process is that the law rules and nothing else. It is usually the attempt to deviate from the laid down procedures or the midwifery role of the law that nations, states and communities boil after elections. Whether it has to do with Pierre Nkuruziza’s Burundi, Congo or Venezuela, public reactions to electoral malfeasance or breach of regulation are always the same. Unlike the Osun State governorship election, it is noteworthy that Ekiti remained calm after the tribunal ruling. This has its implications, yet with diverse interpretations. It was not surprising that the ruling APC hailed the tribunal’s verdict mainly because it not only validates their victory, but also clears the way for the governor to settle down for the business of delivering on the mandate. Expectedly, APC feels secure in its claim that contrary to the petitioners’ avowals, it did not commit any electoral fraud, even as its state deputy chairman, Mr. Sola Eleshin, remarked that the electoral victory was well-deserved and lacked any underhand procedure to justify cancellation by the panel. Instead of protests or any outward public show of reprobation, spontaneous jubilations broke out in the state, particularly in Ado Ekiti and surrounding communities of Ijero, Aramoko, Okemesi and Ikere, after the tribunal delivered its verdict. 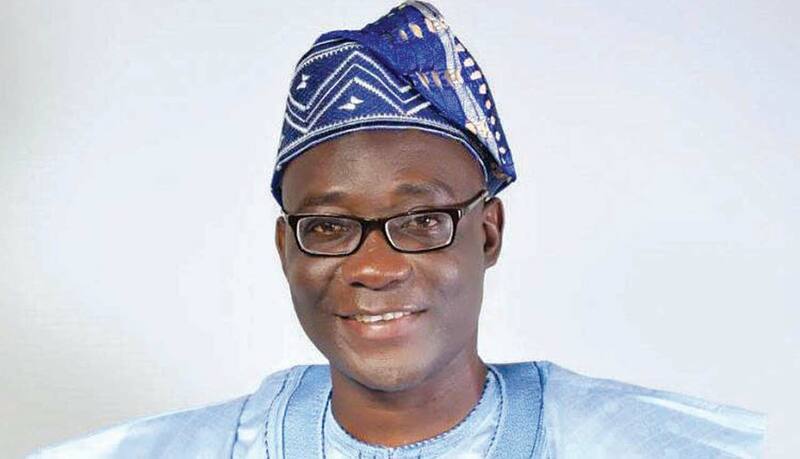 According to reports, party faithful and regular folks set up bands of excited crowds that rejoiced throughout the major roads through the Akure-Ikere-Ado-Ekiti road and caused serious traffic snarl. That no contrary procession from the opposition held, neither was there any report of unruly incidences while the ecstatic crowd celebrated gives the impression that the Ekiti election met with public approval, since it is a given that although not all voters chose the winner, the majority had its way.Even though allegations of vote-buying were rife during the election, in the perception of the Ekiti electorate, both winner and runner-up were involved as such it could not have swayed majority opinion. It is therefore to argue that going by the mood of the people after the tribunal verdict, it is either majority of Ekiti people wanted to enthrone a former governor who was earlier rejected, whom they believe must have learnt from his mistakes or they voted against godfatherism. 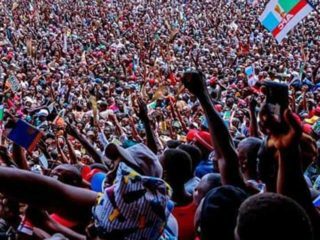 Furthermore, the July 14 governorship poll in Ekiti was more of a referendum on the preceding administration and a demonstration of the beauty of democracy. A similar disposition could have played out in Osun State, but for the inconclusive process. Perhaps lessons regarding the much-touted power of the people expressed in the ballot could be the recent show of Ekiti State Government’s responsiveness to its obligations, especially payment of salaries and allowances as well as pursuit of populist policies and programmes. Real dividends of democracy could be earned therefore when the peoples’ votes count. INEC should be guided by the emerging public vigilance and power to censor free expression of the people’s will through the ballot. 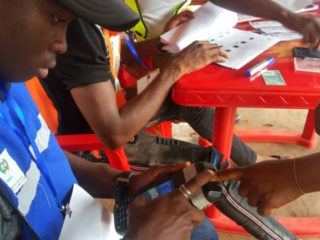 More importantly, violence or threats of same seem not to have any place in Nigeria’s elections anymore.Unlike during the Osun State governorship poll, which attracted negative remarks from monitors both foreign and domestic, such glaring irregularities as intimidation of opposition party supporters in cahoots with security agencies was not associated with the Ekiti election. Despite the focus on the general election, it does not seem probable that PDP is keen at further litigation at the appellate court, but even if the journey to the Court of Appeal ends up as exercise in futility in the long run, it would help in deepening Nigeria’s democracy. A lot depends on what new information or concrete evidence is at the disposal of the petitioners, but it is becoming clearer by the day that Nigerians are tired of attempts by political party chieftains to play God or twist the wishes of the masses. PDP may be challenged by the tribunal’s judgment to strengthen its case, knowing that in the absence of stronger evidence it would amount to judicial charity for the appeal court to quash the ruling of the election petition tribunal. Much noise has been made about conflicting judgments amid strenuous attempts to tarnish the image of the judiciary with the brush of corruption.To a large extent, the court of public opinion mirrors the credibility or otherwise of the legal dispositions of the regular courts. That is why as Nigerians go to the poll this Saturday and beyond, the major concern is that the electoral umpire and security agencies should stay as aloof as possible to allow every voter have his say in the ballot and the majority to have their way at the end of the day. Could the tribunal’s verdict be said to have tallied with the perceptions and imputations at the court of public opinion and jurisprudence? By their body language, the tribunal’s verdict seems to represent the feelings of a cross section of Ekiti people. The grand initiative of accepting the people’s expressed will, which both Fayemi and former President Goodluck Jonathan honoured in 2014 and 2015 respectively, should not be lost on current gladiators as Nigeria goes to the poll next Saturday. Those are the bigger lessons from Ekiti governorship election and the verdict of the Election Petition Tribunal.